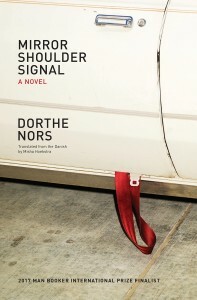 Translated from the Danish, Dorthe Nors’ Mirror, Shoulder, Signal is a slight, anxious novel about self-improvement and self-acceptance. 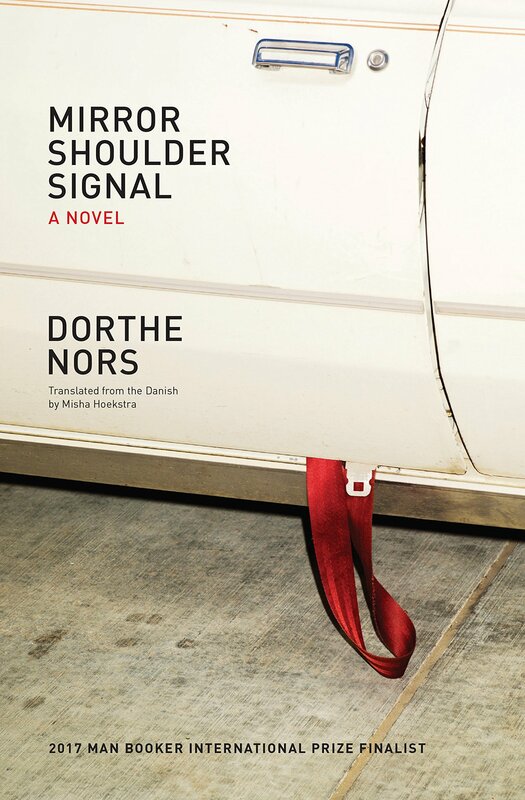 Centered around middle-aged Sonja’s decision to enroll in a driving school and finally get her license, Nors quietly unpacks the nuanced emotional heft that such an endeavor contains. Sonja ponders adulthood and her social responsibilities while experiencing trials typically encountered during one’s teenage years. In scattered, associative prose, she mentally retreats into memories of her childhood, particularly her relationship with her sister and parents. Sonja is a translator of violent Swedish crime thrillers, a profession that provides a clever layer atop an already complicated character. Sonja’s life is not particularly exciting, and throughout the novel she frequently drifts through plans at the invitation of others. Nors carefully situates Sonja’s listless existence against the cliche role of women in thrillers: like those female characters so often diminished into being victims or statistics, Sonja feels like a plot point for other, more interesting people. This sentiment, compounded with the inherently voiceless role of a translator, pushes Sonja into a corner of lonely desperation and primes her to finally break out and do something with her life. Their relationship is awkward due to its transactional nature, but perhaps Sonja prefers it that way: in one scene, they attempt an outing as friends, but Sonja suffers an anxiety attack and runs away. “Signal” refers to how she presents herself to others in her day-to-day life. She has trouble with her young driving instructor and begins taking lessons instead from the older man in charge of her class, unaware that he too might be looking for a simple but meaningful human connection. If Sonja could recognize and reconcile these three elements, perhaps then will she find some semblance of personal fulfillment. Despite Sonja’s clamorous inner monologue, Mirror, Shoulder, Signal remains on its surface a basic story about a woman’s struggle at driving school. Readers who stay on this surface and resist the pull into Sonja’s emotional layers will find the novel to be mundane and simplistic to a fault. But Nors proves in Mirror, Shoulder, Signal that a compelling story can exist under something seemingly unremarkable, and has effectively crafted a novel about a woman’s discovery of this very fact.